This is an advanced skippering course for yachtsmen and women who have considerable knowledge of sailing and navigation. Coastal Skippers should be able to undertake more difficult passages by day and night and handle the yacht in more demanding situations. By the end of the course you should have the knowledge if not the experience to become a Yachtmaster. It is a satisfying but intensive week, with candidates often working towards a Yachtmaster Offshore or Yachtmaster Coastal Certificate of Competence. Navigation to Coastal Skipper/Yachtmaster standard. Sailing to Day Skipper Practical standard. At the end of the course you will be happy to skipper a yacht on coastal passages by day and night. Upon successful completion of the course, you will be issued with the RYA Coastal Skipper Practical certificate, which is recognised around the world for chartering purposes. It is also one step closer to the Yachtmaster Certificates of Competence. 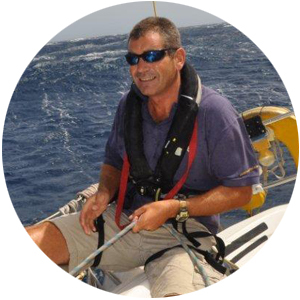 The aim of this course is to teach the skills and techniques required to skipper a cruising yacht safely on coastal passages by day and night. Meet and enjoy the course with other enthusiasts with your instructor. We run our courses with an absolute MAXIMUM of 4 people. No-one has to share a berth. If you would prefer to take a course with just yourselves on board, then you can rent the whole yacht and instructor with up to 5 students. You can have a mixture of any courses and people who just want to sail without taking a course.